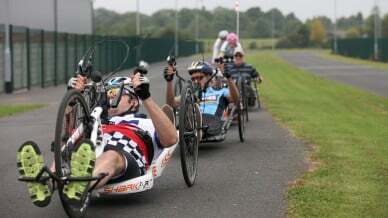 Whether it's on the track or the road, two wheels or three, para-cycling offers something for everyone who wants to get on a bike. Para-cycling was first developed by cyclists with visual impairments who competed on tandem bicycles. Since then the sport has continued to grow and was first introduced to a Paralympic Games in New York in 1984 with road events for athletes with cerebral palsy included for the first time. Further events were added over the course of the next four Paralympic Games, with track cycling making its debut in Atlanta 1996. Para-cycling currently includes individuals with cerebral palsy, visual impairments and physical impairments. 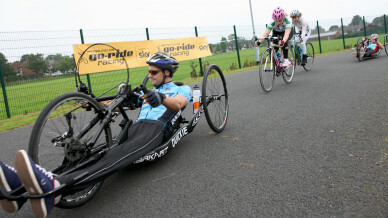 Road cyclists compete on handcycles, trikes, tandem bikes or bikes depending on their condition. On the track, cyclists compete on either tandem bikes or bikes. C1-C5 is for athletes with cerebral palsy, amputees and other conditions who can ride a bike. T1-T2 (trike) is for athletes with cerebral palsy, neurological conditions or other athletes who are unable to ride a bike. B is for visually impaired cyclists who compete on tandem bikes with a pilot. 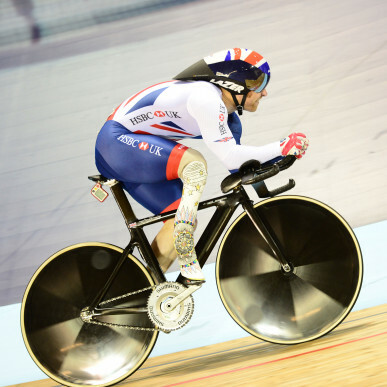 Find out about upcoming para-cycling classification sessions. 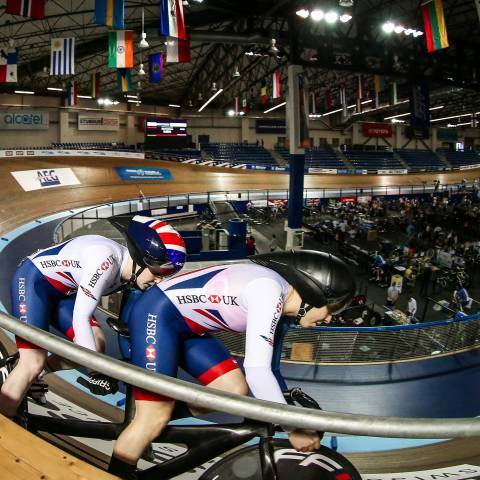 Track cycling takes place on indoor and outdoor oval tracks ranging from less than 200 to over 400 metres in length, with surfaces made from a variety of materials including wood, tarmac and concrete. 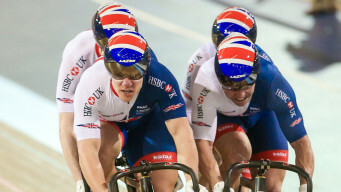 Among the leading velodromes in Great Britain is the National Cycling Centre in Manchester, the home of the Great Britain Cycling Team where the para-cycling squad do most of their training. 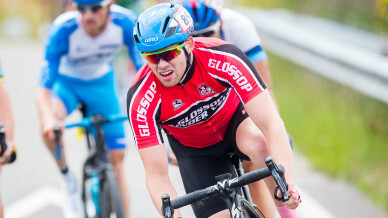 Road cycling can take place on roads up and down the country and there are also a number of dedicated closed-road circuits in operation in the UK. 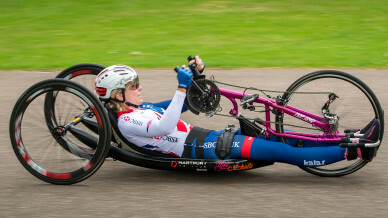 A para-cycling rider can compete in a number of different events across the road and track. While many would ride a bike similar to those ridden by a rider on an able-bodied squad, with some minor adaptions, some may ride a trike or a handbike depending on their impairment. 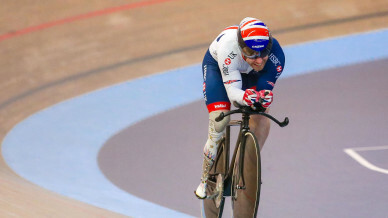 Great Britain currently has two of the greatest Paralympians of all time in the form of Dame Sarah Storey and Jody Cundy. Storey is currently tied with Tanni-Grey Thompson as the greatest female Paralympian of all time with 11 gold medals while Cundy is the proud owner of five gold medals. In the time trial, a rider begins with a standing start and competes against the clock to complete two laps of the track in the fastest time. The competition is held over 1km for men and 500m for women. 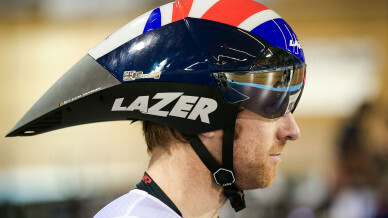 The Great Britain Cycling Team currently has a number of world champions in the discipline including Jody Cundy. What is the tandem sprint? 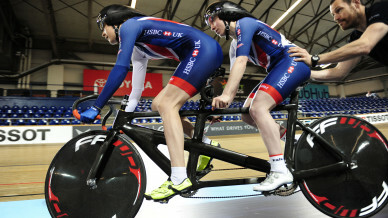 The tandem sprint is considered one of the highlights of any para-cycling track world championships as tandem duos face off against each other in a fast and furious race. The competition starts with a qualifying round where each tandem pairing aims to set their quickest time over a flying 200 metres. 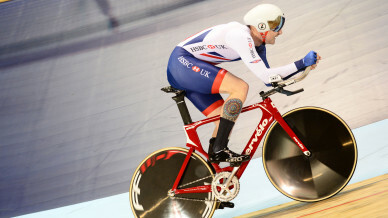 The four fastest bikes then go into a best-of-three semi-final with the winners facing off for gold and silver in the final and the defeated semi-finalists riding for the bronze medal. 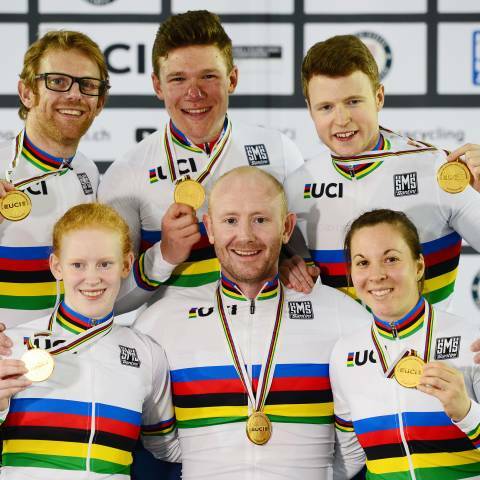 At the 2017 UCI Para-cycling Track World Championships, James Ball and Matt Rotherham defeated teammates Neil Fachie and Craig Maclean in the gold medal final. The team sprint is contested over three laps of the track by two teams of three riders. All three riders start the event with the lead rider pulling out of the way at the end of each lap, with the next rider taking over at the front. The final rider sets the team time when they cross the finish line at the end of the third lap. Each team is made up of three riders with varying classifications. The team can be a mix of male and female athletes. Athletes are awarded points depending on their classification. For example a C5 male is worth four points and a C2 female worth one point. The team of three riders can’t exceed the maximum of 10 points. 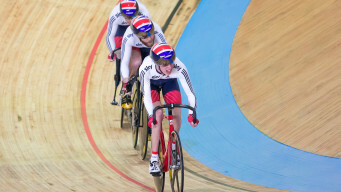 In the individual pursuit, riders (either solo riders or tandem pairs) start on opposite sides of the track and attempt to catch their opponent over either 3km (12 laps) or 4km (16 laps). The four athletes with the best times in qualifying progress to the medal rides, where the two fastest qualifiers race for gold and silver and third races against fourth for the bronze medal. In the finals, if a competitor catches and passes the opponent they win the race although they can choose to continue if they are looking to break a record or set a new personal best. What is the road race? Road races are a test of power and stamina. The mass-start events typically feature a looped long-distance course and the first rider to cross the finishing line wins. 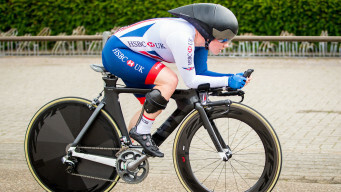 The time trial pits the world’s fastest para-cyclists against the clock. Riding solo or in tandem pairs, riders will take to the road one-by-one with the fastest time across the course winning the gold medal. Many para-cycling riders would ride a typical bike when competing. However depending on the rider’s impairment the bike may be adapted to assist them. A tandem bike is for a rider with a visual impairment. The pilot (sighted rider) will always be on the front, with the stoker (visually impaired rider) on the back. Trikes are for riders with cerebral palsy, neurological conditions or other riders who are unable to ride a bicycle. Members of the Great Britain Cycling Team will typically compete in a skinsuit, but don't worry if you don't have one available. T-shirts are fine until they get wet from rain or your sweat, so you may prefer to wear jerseys that will help to draw moisture away from your clothing. You may also be more comfortable on a saddle if you wear padded cycling shorts. For outdoor rides in winter, a lightweight rain jacket can keep you warm and dry. Built for comfort and protection, the many holes in the helmet are vents to keep your head cool. Helmets come in sizes to fit all head shapes and sizes and are adjustable. In a time-trial, which is a race against the clock, the rider will look for every advantage they can get to save them valuable seconds and will wear a specially designed aerodynamic helmet. 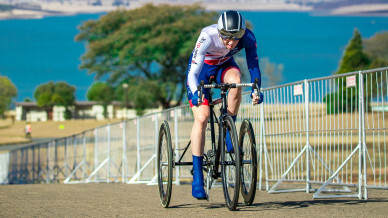 British Cycling launched disability hubs across the country to improve access to the sport for people with a disability and ensure that those wanting to improve their cycling performance receive the support they need. There are currently hubs in Manchester, Bath, Nottingham, York, Kent and the birthplace of the Paralympic movement, the Stoke Mandeville Stadium in Aylesbury. 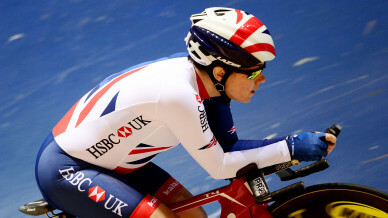 British para-cyclists compete at the annual British Cycling National Track Championships. There is also an annual time-trial and circuit race championships which usually take place on a closed road circuit. 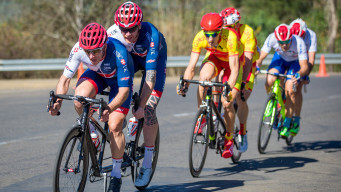 The Great Britain Cycling Team compete in world championships on the track and road and a number of road world cups throughout the year. 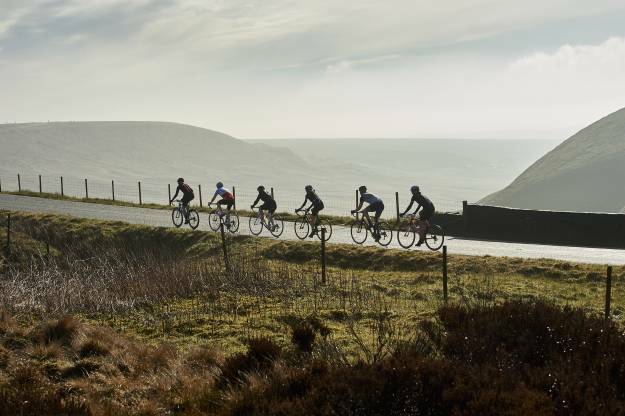 British Cycling is always looking for keen volunteers to help at events and local clubs. 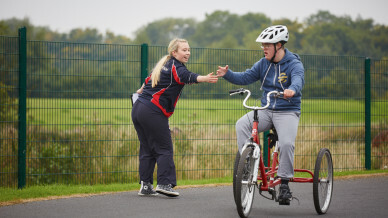 British Cycling also has disability hubs across the country. 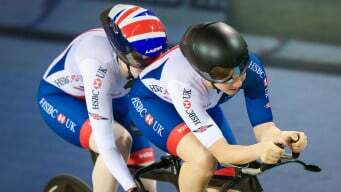 #TRACK2TOKYO is looking for para-cycling stars of the future to compete in track and road cycling with the potential to become part of the Great Britain Para-cycling Team.